Narrative voice simply refers to the voice of the words on the page. We’ll explore this in more depth below. This voice does not necessarily mean we’re experiencing the story from the narrator’s point of view. Narrative perspective encompasses more than the voice. It also involves the point of view, mood, and focalizer, to name a few. I’ve been on a bit of a Gérard Genette kick lately. If you don’t know who he is, then you probably haven’t studied much narrative theory. He is mostly known for his work on structuralism, but I’ve never really found the structuralists that interesting or compelling. Genette’s other major work was to almost single-handedly invent the foundations for modern narrative theory (in the 70’s). It is true that Booth’s Rhetoric of Fiction (from which the idea of “show don’t tell” originated) came first. 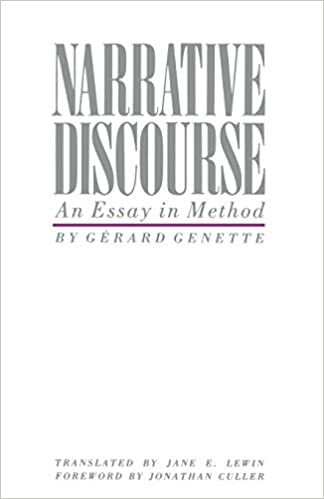 But until Genette’s groundbreaking Narrative Discourse: An Essay in Method it wasn’t really thought that the narratology could be applied to anything more than simple, contrived examples. Genette clarified the terms we use today like “voice” and “mood” and showed how they can be used to examine actual complex literature (he used Proust’s In Search of Lost Time). Today I want to pull out an interesting concept from Narrative Discourse. The concepts of narrative voice and narrative perspective tend to get lumped together as the “point of view” in inattentive analysis, yet the distinction is important and clear in contemporary literature. Suppose I write a story with a third-person limited viewpoint about a child growing up. There is a clear main character, and we only see things from his “point of view.” I haven’t actually told you enough to determine the narrative perspective yet. Now what if I tell you that the narration is done through a set of journal entries from the child’s mother. Nothing about the story itself has changed, but it seems the “point of view” should be the mother. The confusion comes from conflating two distinct notions. The first is narrative perspective. In our example, the narrative perspective is the child. Genette would say the story is “focalized” through the child, because the story unfolds with the child as the main character. The other concept is narrative voice. The voice of the narration in our example is the mother. This voice can take on many forms completely unrelated to the main character’s emotions. We might see the mother express sadness in her journal voice at her child getting into a faraway college. It’s a joyful experience for the child, but the mother feels the oncoming empty nest of the child leaving. This complex interaction can be used by great writers to develop a unique and interesting narrative perspective. I think most people are probably comfortable with the distinction between voice and perspective, because these ideas have become universal. That’s why it is kind of surprising that it wasn’t until somewhat recently (in comparison to how long writers have been using the distinction) that we actually had terms to talk about them. Of course, you can intentionally make these the same, but this tends to be more work than keeping them separate. You must find and develop your voice as a writer. If you use your own voice for the narration, which will come most naturally, then the narrative voice is you and not the main character. To write in the main character’s voice will take a tremendous effort, because you have to overcome all of your own natural tendencies and stick to a consistent fictional voice. Also, notice how much complexity can enter into a work merely by being aware of this distinction. There is a narrator, who could be a fully fleshed out fictional character, and there are one or more focal lenses to the narration. The narrator can learn of various events in a certain order. Then they can relay those events in a different order, which could be totally different from the order in which they happen to the main characters. The main characters will have feelings and emotional reactions to events. The narrator can have totally different ones. The narrator can try to skew the telling of events due to their reaction. As you see, keeping the voice and perspective separate can be a useful tool for making complex and rewarding fiction. In fact, all the complexities listed here can be found as fairly standard technique these days. 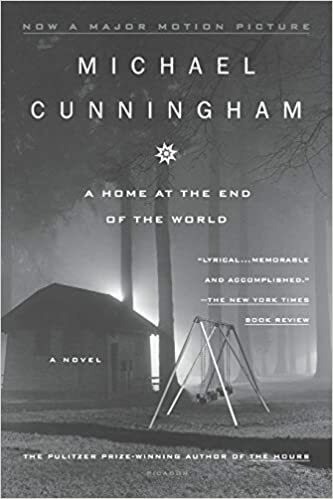 If you are interested in isolating various elements of narrative such as voice and perspective, then I definitely recommend looking at this classic work. 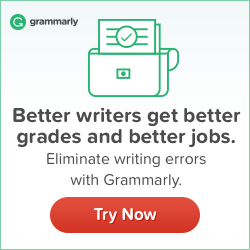 What are the 3 types of narration? While these are classically the only choices, there have been many others used to great effect in literature. This article will discuss my thoughts on each of these for authors. The first person point of view is when the book is written from a character’s perspective using first person pronouns. The “I” indicates we’re in first person. First person is hard to do well. You must stay inside the character’s head. This means keeping a unique and consistent voice throughout. It also vastly limits your options for description to things the character notices. Did you want to set the scene with a brilliant description of a sunrise? Well, if it’s not something your character would say or notice, then you’re out of luck. Some people try to play a little loose with first person to allow for this stuff, but it comes off as inconsistent, sloppy writing. You might be surprised at how few books are in first person, because the modern trend is to use an extremely close third person limited. This means third person pronouns are used. The “she” indicates we’re in third person. The word “limited” means we are still limited to the main character’s point of view. It is just told with a more distant narrative voice. The distance of the narrative voice can vary quite a bit in this type of narration. This creates the same connection with the character and her thoughts as first person but allows for seamless transitions to other types of exposition. This is third person narration but it’s told with a “God’s eye view.” We get to see the thoughts and feelings of all the characters, not just the main character. Third person omniscient is thought of as an old or out-of-fashion way to write fiction. Most of the classics, like Pride and Prejudice, are in third person omniscient narration. It has made somewhat of a comeback recently. Sometimes books use second person narration. This is when the second person pronoun is used. The “you” indicates we’re in second person. A while ago I wrote about the book If on a winter’s night a traveler. This is famously in second person, and so are many “choose your own adventure” books. There have even been some books that use the second person plural “we” to great effect. 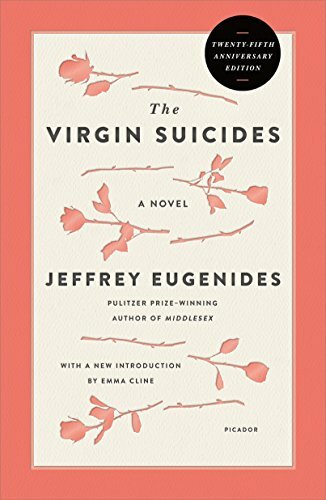 The one that comes to mind is Jeffrey Eugenides’ The Virgin Suicides. Which of the 3 Types of Narration to Use? Experienced writers can make anything work. I highly recommend new writers use third person limited. It gives you much of the same intimacy as first person, but removes the complication of developing a consistent and unique internal voice for the character. That’s all I’m going to say about this. It’s up to you, but it’s easiest to do it in a very close third person limited narration. There’s far too many ways to go horribly wrong in first person. 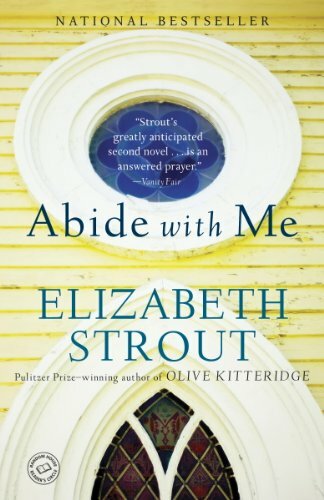 Let’s examine how POV (point of view) affects Marilynne Robinson’s Gilead and Elizabeth Strout’s Abide With Me. Never have I encountered such perfect novels for this case study. Gilead is widely regarded as a modern classic. Abide With Me is mostly unknown. Yet they both tell remarkably similar stories. Both have Protestant ministers as main characters in small town America in the 50’s. Both authors have won Pulitzer Prizes. They were published a mere two years apart (2004 and 2006). They deal with the same themes. Their lengths are roughly the same. So, why the difference in reception? I think it can be completely attributed to Strout’s error in POV usage. 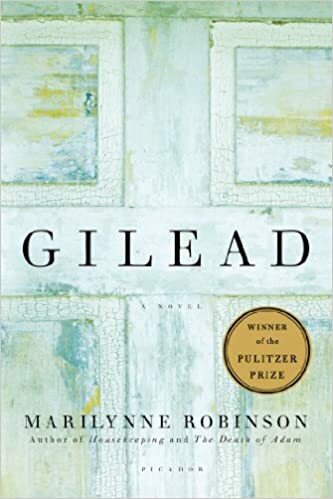 Gilead is told as a sequence of first-person letters from a Congregationalist minister to a son who will not know him. It is deeply personal and reflective to use this POV and serves as an excellent way to delve into discussions of faith in a broadly secular society, religion, theology, disappointment, judgment, fears, and so on. These manifest through conflict the minister has with his small town and what the minister sees as his own personal failings regarding his family. Abide With Me is told in a very loose, meandering third-person (semi-omniscient) POV. The focus is still on a minister in a small town and his conflicts with the parishioners about theology and personal failings regarding his family. One could try to make an argument that Abide With Me focuses on the town itself as the main character, and this is the point of using a meandering POV. But I can’t get behind this. My guess is that over 80% of the novel is in a close third-person limited view of the minister, so the POV is wrong even for that argument. Also, all of the drama and emotional content come from the minister’s POV. To me, this novel would have been a much cleaner and powerful one if those few POV switches were cut or changed to the minister’s. I get much more respect than I deserve. This seems harmless enough in most cases. People want to respect the pastor and I’m not going to interfere with that. But I’ve developed a great reputation for wisdom by ordering more books than I ever had time to read, and reading more books, by far, than I learned anything useful from, except, of course, that some very tedious gentlemen have written books. This is not a new insight, but the truth of it is something you have to experience to fully grasp. We learn so much from this one brief passage. The pastor is modest and sympathetic. We get to hear his voice and see how he thinks. We learn how others see him and how he understands how they see him. He’s funny! His sense of humor comes through, because it is in his voice. When you read a whole novel like this, you feel like you personally know him, and I think this is why the novel resonates so well with people. It’s the POV, not the content. This is why Strout’s novel is not held in the same regard. Joy filled him, and trepidation, for the job of being pastor of this church was, for Tyler, an assignment of great seriousness. He was moved by the kindness of his parish, how they sometimes left notes for him by his office in the church, saying how his sermon had touched them. I chose this passage, because I think it is trying to do a similar thing to the other one: establish how the pastor is received by the congregation and how he understands what they think. Look at that opening, though. It focuses on his wife’s POV. We get some of her character, but we’re kept at arm’s length by this distant third-person narration. One might say that the narrative perspective is unfocused and conflicted. All the pieces that make up the narrative perspective aren’t working in harmony. This distance is necessary to easily flow between points of view, but it leaves us feeling cold here. When we do switch to Tyler’s POV, we’re just told how he is received. We don’t get his voice. We don’t feel like we fully understand his thoughts. It is a one-dimensional description of his feelings and lacks his voice. The whole novel reads this way, and it is a strange choice. I’m not sure why Strout chose to tell such a deeply personal story from such a distant and cold POV. There are few times in published literature where one can point to such a blatant mistake, but I think this is one of those times. I can only imagine what this novel could have been if a more personal POV was used.